Relive D-Day – for the first time. 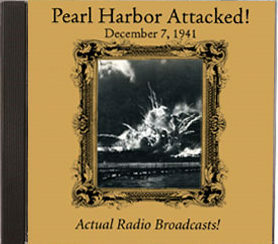 From the opening reports of paratroop landings by German broadcasters to the evening prayer of President Roosevelt, listen to each heart-stopping hour of live broadcasting from one of the most momentous days of the 20th Century. The Allies have landed at Normandy! A 4,000 ship armada! Heavy bombardments! Paratroopers! 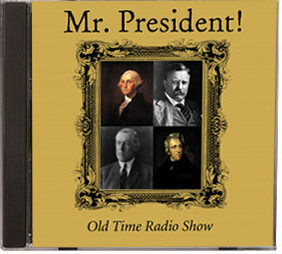 You will hear 24 full hours of crackling reports from London Radio, Eisenhower's Order of the Day; his personal message to the troops; the King of England; live recordings from troop boats, reconnaissance planes, paratroop transport planes, and the signal bridge of a naval vessel; live reports from the House of Representatives and the White House – and more! 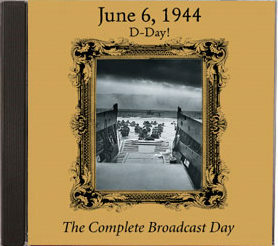 It's all here – the complete broadcast day of June 6, 1944. Quick! Turn on the radio! *THIS DISC CONTAINS MP3 FILE FORMAT AUDIO FILES The audio files can be downloaded to an iPod! 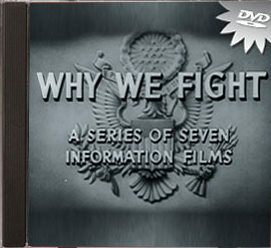 The CD itself will play on your computer CD drive, a DVD player, on an MP3 compatible CD player available at Amazon.com. The files will not play in a standard CD player.